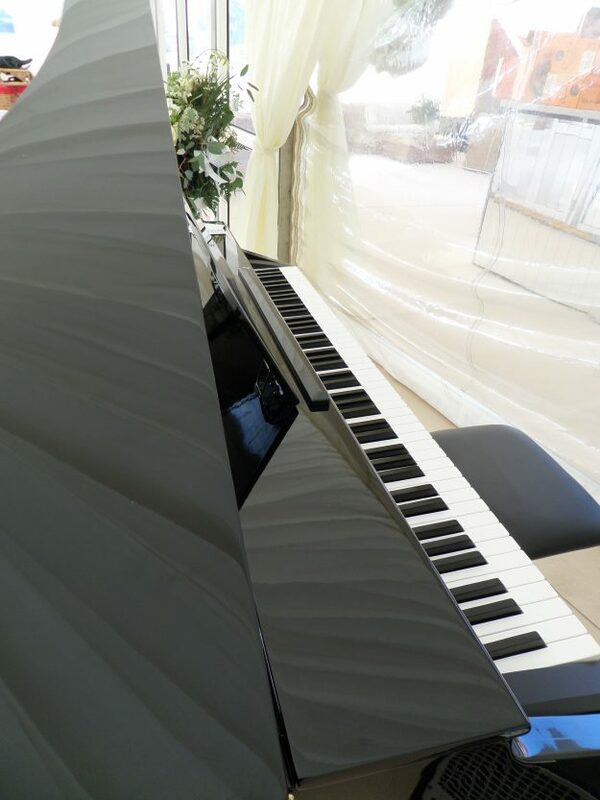 A baby Grand Piano Shell is available for hire for that special occasion (shown above and below). Over the years there has been many requests for an instrument that looks more like the real thing and less like a keyboard. This is the answer to all our prayers and is becoming very popular with all the people who hire me. It consists of a black shiny wooden case which is in the same shape as a conventional grand piano and I just place a normal digital instrument inside. The finish on the case is identical to that on a Steinway or Borsendorfer. The result is something that looks very much like the real thing and sound’s amazing. You can hire this shell at a small fraction of the cost of hiring a real instrument from a supplier. The cabinet has to be assembled at the venue with nuts and bolts. The constant assembling and taking apart puts an enormous amount of wear and tear on the cabinet and fittings. Because of this I have charge a nominal additional fee of £80 for it’s use. If you need music in more than one location then I will probably need to bring a standard keyboard as well. If the other location is not too far away, it is possible for two or three people to carry the whole thing to the new location. The construction is not heavy but is awkward and impossible for one person to move. There are some limitations on where I can take the shell as I need to be able to park near the venue. Central London and other major cities can be difficult due to parking restrictions, but please contact me and I will try and get around any obstacles. Up to now I’ve never been in a situation where I couldn’t get around any problems. I even managed to take it to the top of the Spinnaker Tower in Portsmouth, Hampshire. 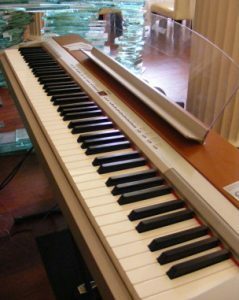 If I can’t use the shell at your chose venue, I can still offer the Yamaha P155 (see image below) at no additional cost. 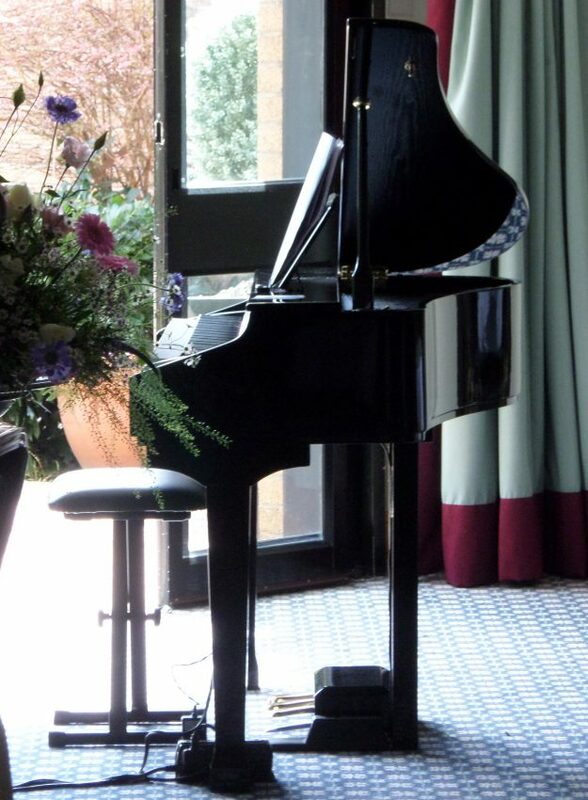 This instrument is very smart looking and is perfect for most events.